Learning Tree is proud to offer the following Linux & UNIX Programming Specialist & Expert Certifications, so you can validate your programming skills. 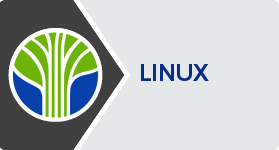 As a Certified Specialist in Linux Administration, you have the skills required to install, configure and support a Linux operating system environment to meet your organization's critical IT administrative needs. As a Certified Specialist in UNIX Administration, you have the ability to take full advantage of the UNIX operating system, including navigating the UNIX directory hierarchy, manipulating files, and controlling file access. You will perform complex search strings using regular expressions and explore extended regular expressions with grep, sed and awk. Certified professionals of this program have expertise in leveraging the Linux operating system to control permissions, process text data, perform multiple tasks with shell scripts as well as build, manage and fine tune Linux platforms. They are proficient in diagnosing and correcting booting and configuration issues, ensuring optimal resource allocation and availability, and troubleshooting real-world problems. As a Certified Expert in UNIX Administration, you have demonstrated the ability to automate tasks and improve productivity in your UNIX operating system environment. In addition, you have expertise in writing reusable, robust shell scripts to extend the user environment and automate complex administrative tasks.